In addition to providing for the needs of Monongahela Valley Hospital and the community, you can enjoy benefits from your charitable donation. This includes income tax deductions you may be entitled to as a result of your generosity. The following information provides an explanation of the various ways you can plan significant gifts to the campaign while taking full advantage of the income and estate tax benefits allowed under the law. Donations can be made online or through the mail by downloading and completing the donor form (pdf). AmazonSmile is a simple and automatic way for you to support your favorite charitable organization every time you shop, at no cost to you. When you shop at smile.amazon.com, you'll find the exact same low prices, vast selection and convenient shopping experience as Amazon.com, with the added bonus that Amazon will donate a portion of the purchase price to your favorite charitable organization. 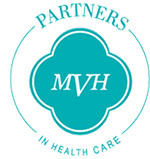 To benefit our Hospital, choose "Monongahela Valley Hospital Inc." as your charity of choice and 0.5% of your eligible purchases will be donated back to MVH. You can even use the same account that you use on Amazon.com. Visit our Events Page to learn how to get involved and/or become a sponsor. Consider giving to Monongahela Valley Hospital instead of a tradition favor or gift for your next celebration. The Office of Fund Development can specifically work with brides and grooms to customize wedding favors for your special day. Contact our office for more information. Cash contributions qualify for a charitable tax deduction of up to 50 percent of a donor's annual adjusted gross income. Any unused portion of the deduction, may be carried over for up to five years. There are distinct tax advantages to considering gifts of appreciated securities such as stocks, bonds and mutual funds. The donor incurs no capital gains tax on appreciated securities given for charitable purposes and can claim a charitable income tax deduction of up to 30 percent of annual adjusted gross income (with a five-year carry over). The valuation of marketable securities given for charitable purposes is the mean value between the highest and lowest selling process on the date of the gift. Visit our Planned Giving Page to learn more about ways to leave a legacy with our Hospital and in our community. A gift of real estate or undivided partial interest that has appreciated in value can be an attractive option when considering a major charitable contribution. The services of a qualified real estate appraiser are required to determine the value of a contribution of real estate. As with other appreciated property gifts, the charitable deduction for a gift of real estate is based on the property's current fair market value and the donor incurs no capital gains liability. A corporation can make and deduct charitable gifts of up to 10 percent of taxable income per year. Numerous corporations have matching gift programs through which an employer can match an associate's charitable gift in varying amounts. Donors are urged to obtain their employer's matching gift forms and leverage their own gifts. The use of life insurance policies for charitable giving is another option when planning a major contribution. A paid-up policy yields a charitable income tax deduction approximately equal to the policy's replacement value. If premiums remain to be paid, the value of the gift is slightly in excess of the policy's cash surrender value. If the donor continues to pay the policy premiums, a contribution deduction is allowed for premium payments. In order to qualify for the charitable deduction, the donor must relinquish all incidents of ownership in the policy and irrevocably designate the Hospital as the beneficiary. Any Monongahela Valley Employee is able to give through payroll deduction. If interested in setting this up, please contact the Payroll Department or the Office of Fund Development. Visit our Campaigns Page to learn more about our current campaigns, the effects they have on the Hospital, and their recognition programs. Gifts may be made through various local United Ways and funds may be designated specifically to Monongahela Valley Hospital. "This has always been a community hospital and that's what this is all about. This expansion is for the community. This is going to help the community to attract more and different specialties from different areas, specialists, and also it's going to help our employees provide better care for the people of the community in a timely manner. That's what Mon Valley is all about."